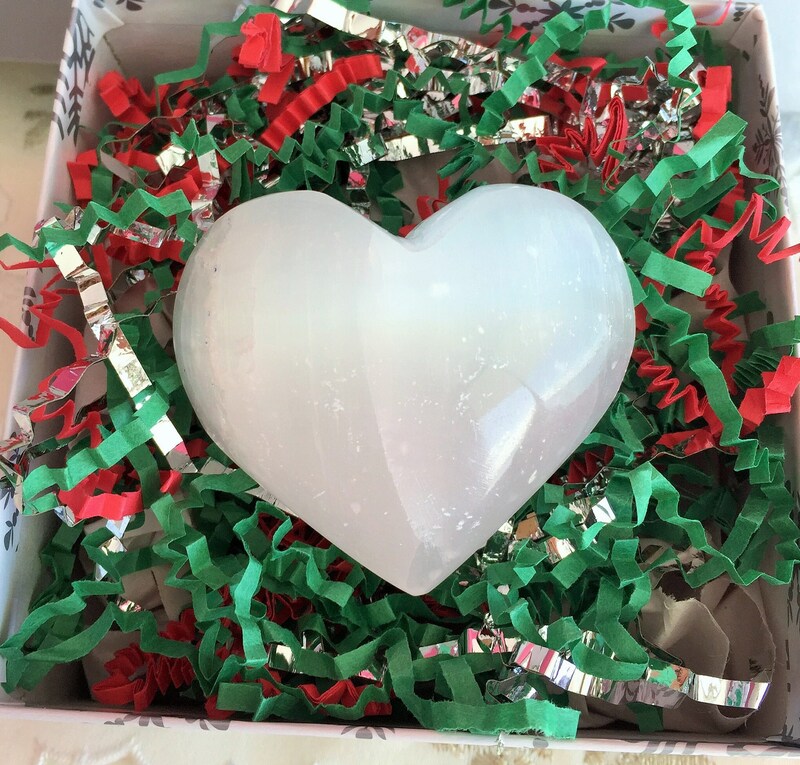 Receive this beautiful white selenite heart. 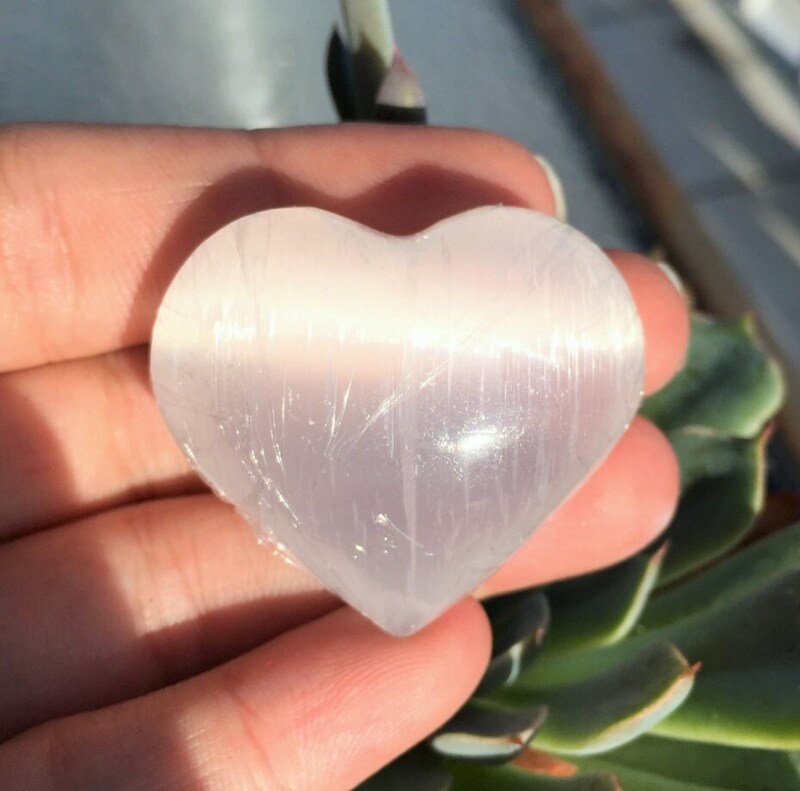 These Selenite hearts have a lovely translucency that makes it look like a glowing moon with a pearly white reflective surface. So beautiful. These are nice to use as palm stones that fit perfectly and smoothly in the palm of the hand or as part of a healing grid. 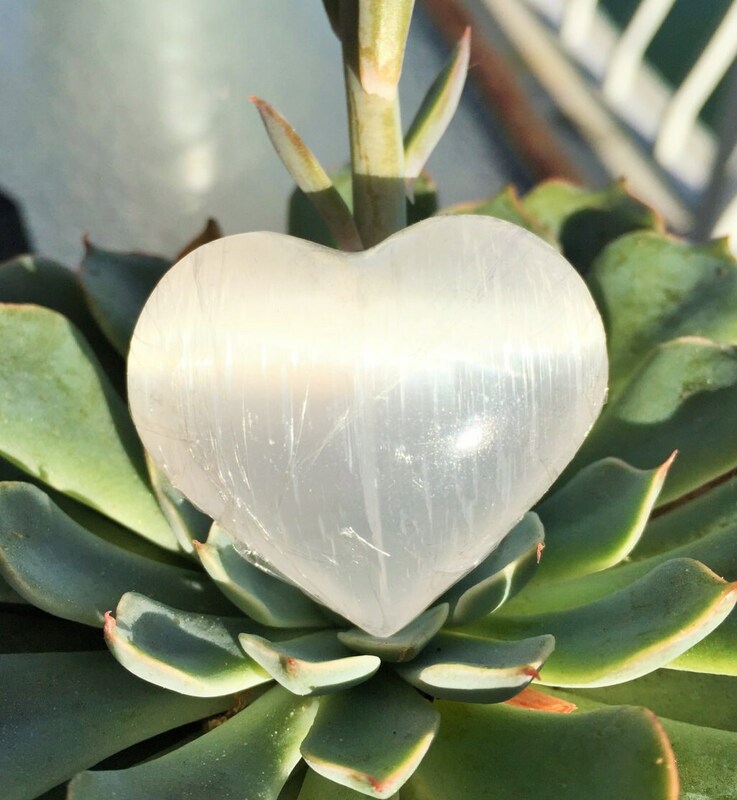 Selenite is a stone of mental clarity, and also a stone of truth and honesty. It is used for contacting and communicating with angels for guidance. It can also be used for finding and working with other spirit guides. 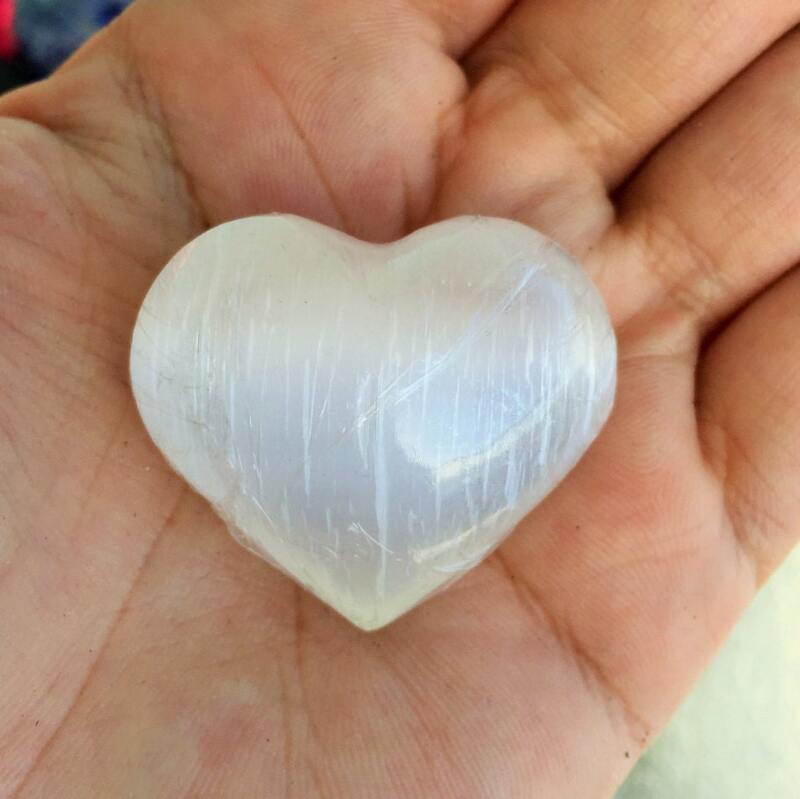 Selenite removes energy blocks. It can also remove energy blocks in the bodies of other crystals and stones, and is a powerful intuition and psychic awareness stone, through its influence on the third eye chakra. You can access past lives and do past life work and healing with it. It is also beneficial for psychic efforts, especially clairvoyance. Want to see our collection of Selenite? Just a perfect Valentine's gift. Everything I ordered was exactly as pictured. All the stones were individually wrapped and safely packaged for shipping. Great communication with owner.